Don’t see your question answered here? Drop us a line at campdirector@learnlarp.com. We’re happy to answer questions about camp life, magical creatures, or anything else on your mind. Who can attend Magischola Prep? Magischola Prep is open to students ages 11-17, entering grades six through twelve. So if you’re going to be in middle school or high school (or their equivalents) in the Fall of 2019, that means you! If you will graduate high school in 2019 but will not have turned 18 by July 14, 2019, you are also eligible. 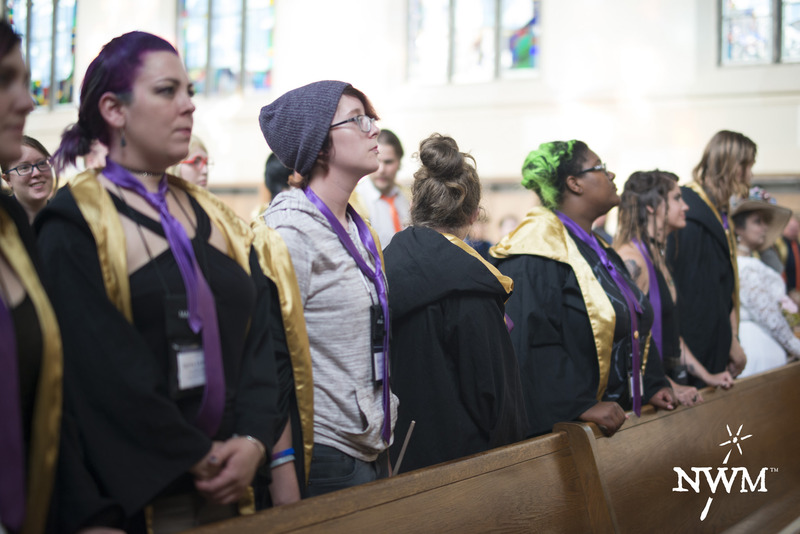 Magischola Prep is open to students of all genders, and includes pronoun workshops, all-gender bathrooms, and other inclusive practices to ensure that all students feel welcomed and able to be themselves. If you’re interested in theatre, improv, creative writing, storytelling, drama, fiction, fantasy, roleplay, roleplaying games, or other literary or dramatic arts, you’ll have a blast! What are the dates for Magischola Prep? Where is Magischola Prep held? 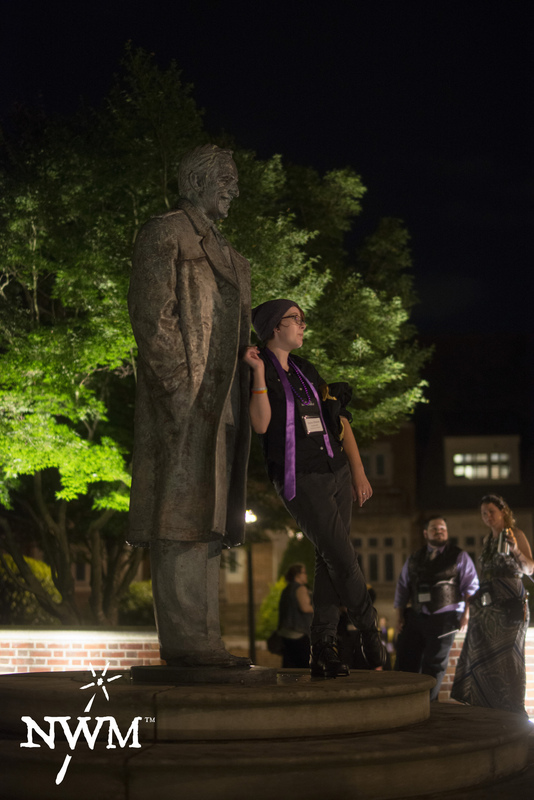 When leaning on statues, take care not to accidentally animate them. The beautiful campus of Swarthmore College, just outside Philadelphia, Pennsylvania is hosting our camp. Swarthmore’s campus mixes classical castle-like dorms with modern classroom buildings, has a world-class dining hall, and is a quick train ride from downtown Philadelphia. The school borders the beautiful Crum Woods, with plenty of trails to adventure down, clearings for rituals, and stone ruins to explore. Students will live in Swarthmore’s dorm buildings, in single, double, or triple occupancy rooms. The dorms are equipped with comfortable modern beds, but do not include linens. Students should bring their own linens or sleeping bags and pillows. The dorms are not air-conditioned and we recommend that students bring a fan or portable unit. Who is supervising students at the camp? Awaiting the Sorting is often one of the most stressful times for a young mage. The camp was created and is run by an educator who has worked with young people for 21 years. Many of the camp’s professors are also educators during the school year; all have experience working with children and have been vetted through screening processes, recommendations, and background checks. Our on-site director has been working with summer camps for a decade. Students will be supervised at all times by our staff of Counselors and Professors, who are trained in safety, emotional wellness, and conflict resolution. We also have medical staff on hand to handle medication and deal with emergencies, as well as having access to Swarthmore’s full-time public safety and wellness staff. What will students eat at the camp? 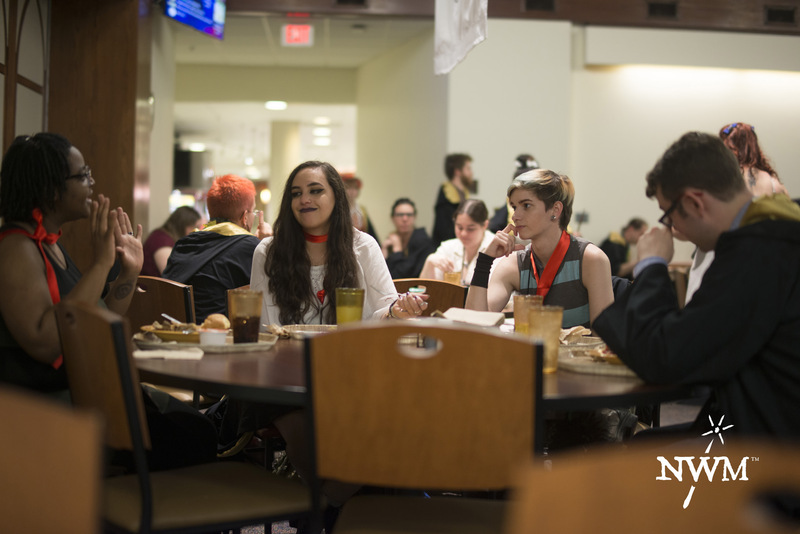 Students will eat in Swarthmore’s world-class dining hall, which includes vegetarian, vegan, and gluten-free options, and is happy to prepare alternative options for students with specific allergies. Snacks will also be available in the evenings in the common rooms. How does club membership work? Each student has a recommended club as part of their character sheet, but those assignments are not binding. Club attendance is optional, and students are free to join other clubs, or even attend the meeting of a different club every evening! What skills will my child learn by attending Magischola Prep? The exact curriculum is still in development, but our aim is to use each magical subject as a framework to teach skills with applications in the real world. For example, students will learn real linguistics in their rune lore classes, practical first aid in their healing classes, and good gardening in herbology. The ethics class forms the backbone of the curriculum, and ethical questions appear in some form in every class. We’re firm believers in using storytelling and fantasy play to teach complex ideas and how to approach problems that don’t have easy answers. Stopping off in the dining hall is important. Don’t do magic on an empty stomach! Studies have shown that roleplaying is a powerful tool to build empathy. Magischola Prep is designed to foster that both during class and outside the classroom. Students will be given tools to practice understanding, work on emotional processing, and interpersonal troubleshooting. In our experience, these kinds of skills often emerge organically, and our staff are trained to foster and encourage that development as it occurs. In our experience, roleplaying and fantasy play builds tools not just to deal with crises but to deal with the realities of life in an ever-changing world. What are previous attendees and their parents saying about Magischola Prep?